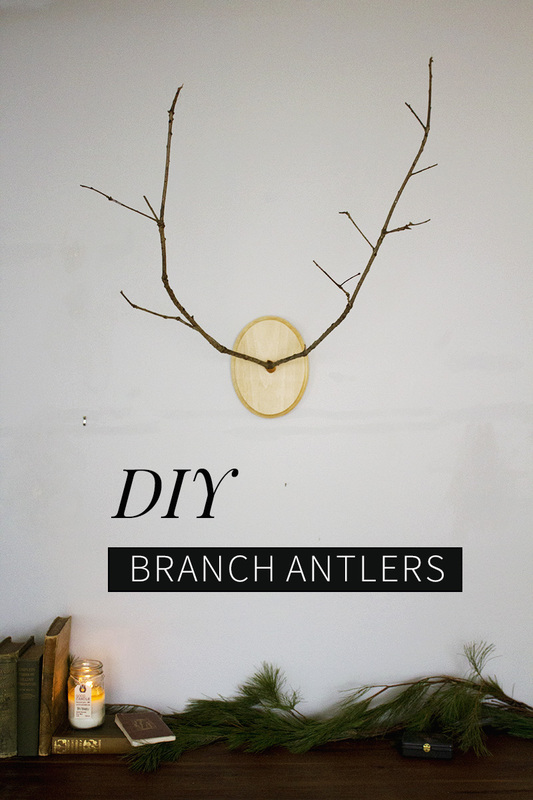 Okay, DIY branch antlers are nothing new. I’m not reinventing the wheel or anything. 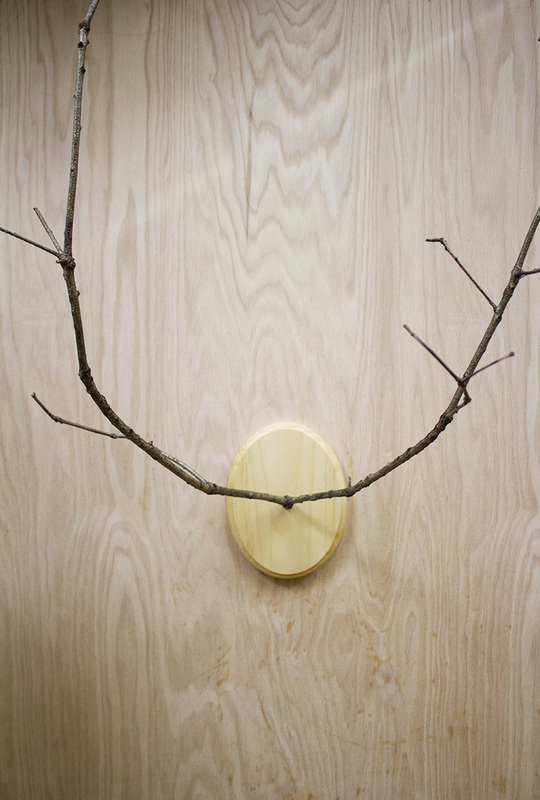 But I came across Luke Bartels’ antlers (in Rue Magazine–from four years ago) and fell in love! After searching around online for a tutorial, nothing was close enough to the image I had in my head. I especially loved the leather detail he uses and was set on recreating it. I made these in one morning, as it is a quick and easy project. 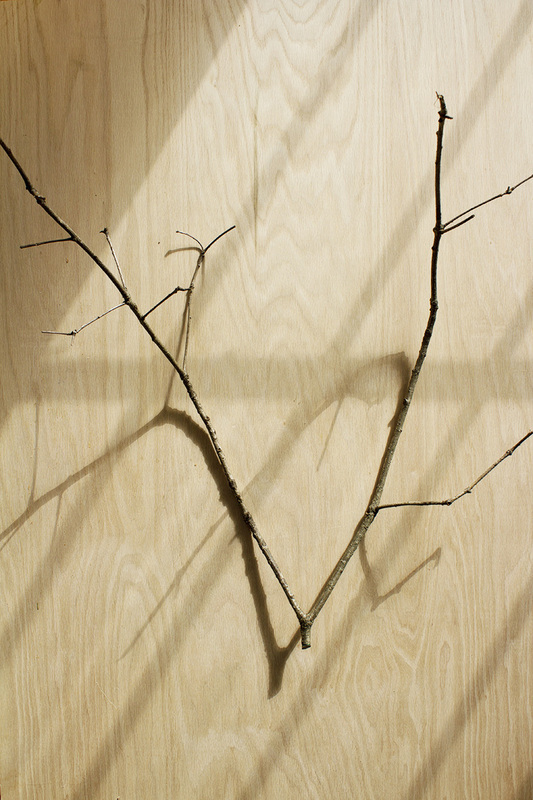 1 Y-shaped branch. I found mine at a local park, on the ground. 1. Using the saw, cut the end of the branch at an angle, approximately 1″ from the base of the “V”. Make sure your branchlers will slope upwards. 2. 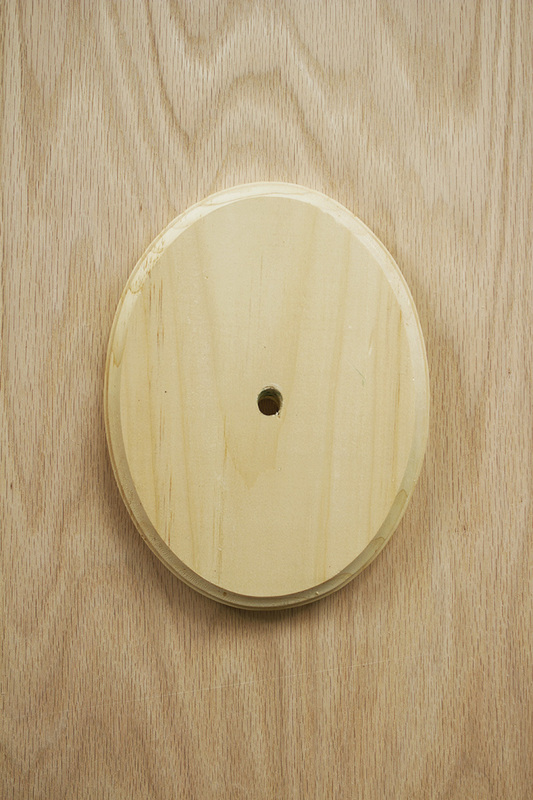 Find the center of the wood plaque and mark with a pencil. 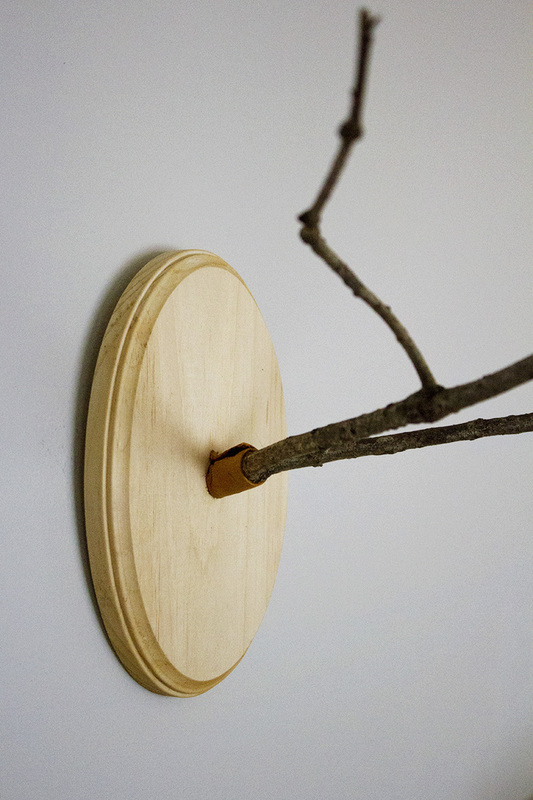 Drill a hole through the plaque at a downward angle, beginning with a small bit and increasing the size until the hole is wide enough for your branch to fit snugly. If you reach your largest bit and the hole is still too small, you can widen it by drilling in a circular motion (much like how you set up a beach umbrella in the sand). 3. 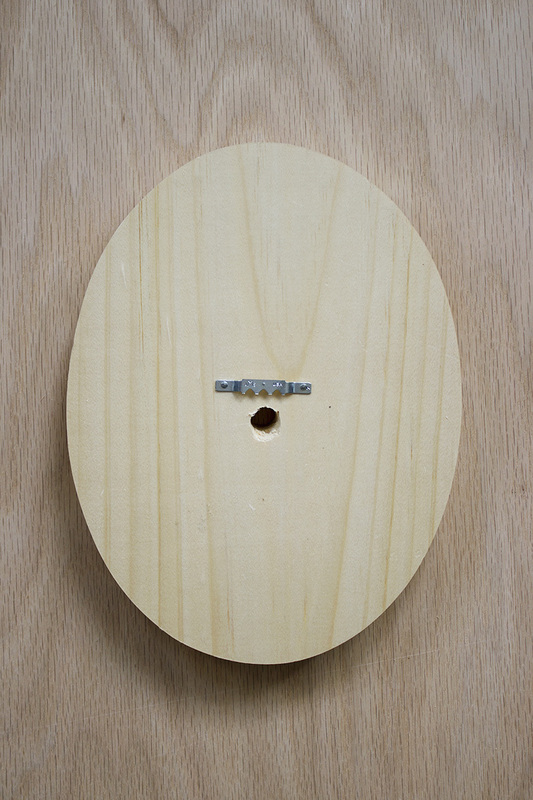 Attach the picture hanger to the back of the plaque with a hammer. 4. 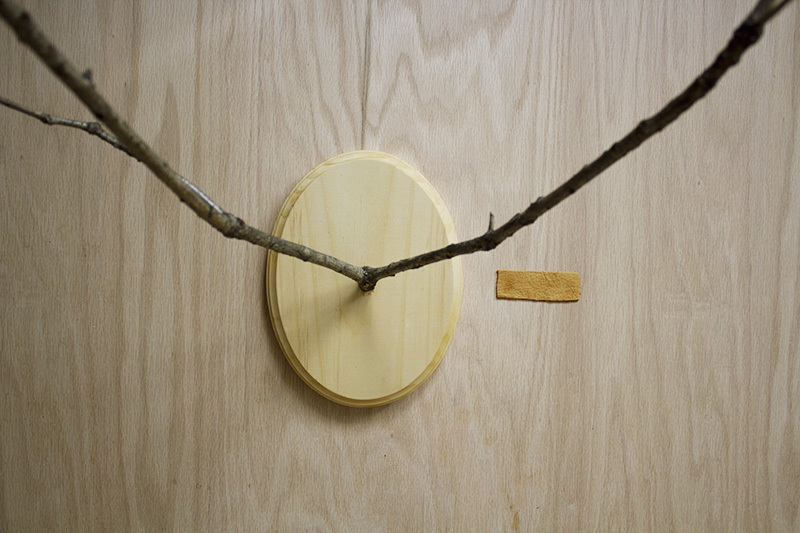 Apply glue to the end of the branch and insert it into the hole. Wipe away any excess. Then, use the rag to apply the wood conditioner. Set a timer for 30 minutes and walk away. 5. Wipe away any excess oil with the rag. 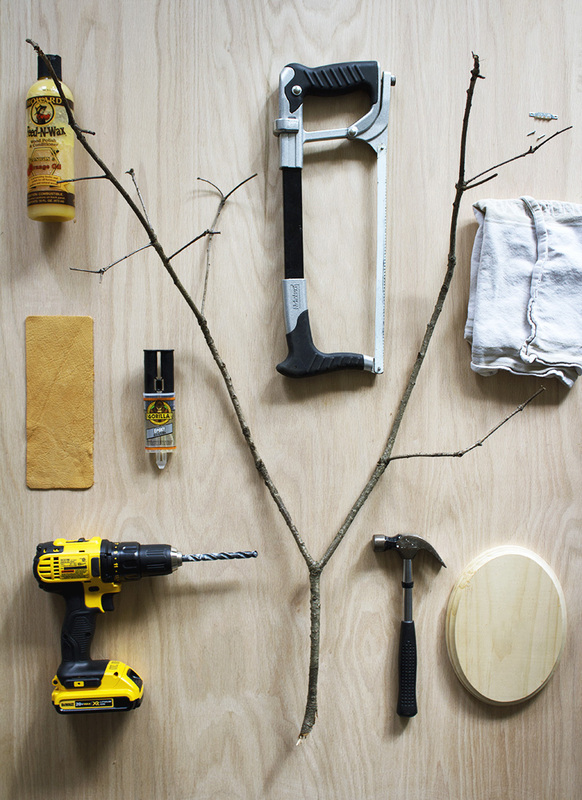 Then, measure and cut a piece of leather approximately 1″ x 3″–the size will vary depending on your branch. 6. 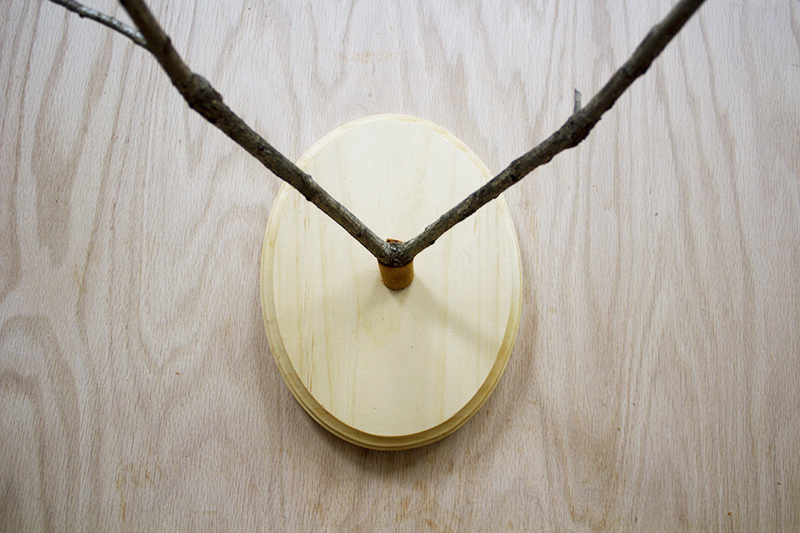 Dab glue on the top of the branch base and attach one end of the leather strip. Wrap the strip around the base and secure at the top again with more glue. You may need to press the leather down with your fingers for a minute or two, to ensure it sticks. After that, you can hang it on your wall and enjoy the branchler-iness of it all. 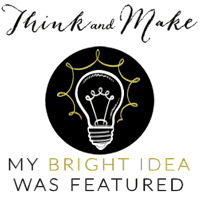 Thank you to the lovely ladies of the Think & Make Thursday Link Party for featuring this post! What do you think of this project? I’d love to hear your thoughts! Leave a comment below, and don’t forget to share/pin! This is very pretty! Love the leather detail. I wish my Joann’s would carry leather. I have looked for it a couple of times with no luck! Thanks! That’s so weird, not even by the jewelry? Michaels has it as well, if there’s one near you. Also try Amazon! Those are so cute! 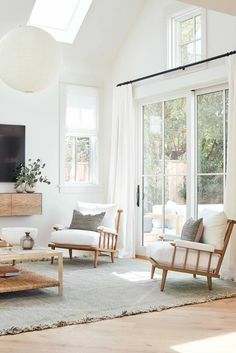 Love the simplicity of how they look on the wall. Well done! Any time Gilly, thanks for stopping by! I’m officially freaking out. FREAKING OUT. This blows my mind…absolutely love and adore. You genius!! Did I mention I love it?! Thank you sooo much for sharing this at Found & Foraged. Ahhh you are too awesome Laura! Thank you–I’m so glad you love it! Anna I love this! 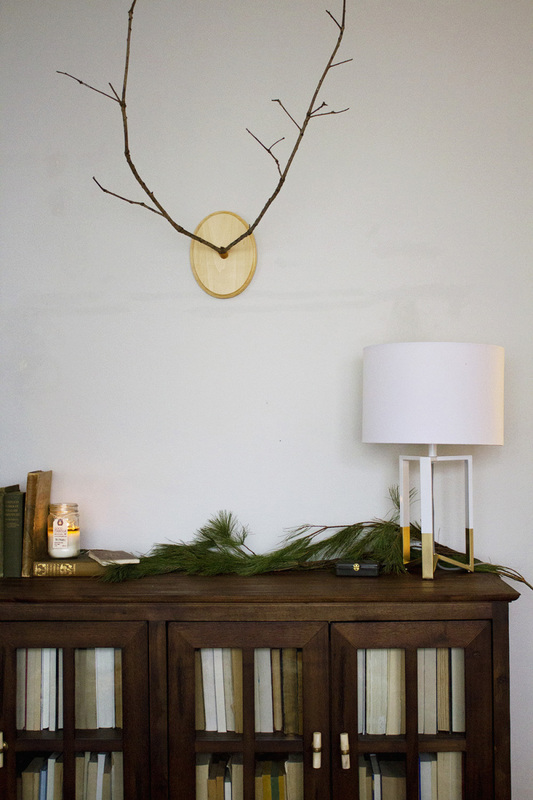 I am obsessed with faux versions of deer head/antlers and these are great! 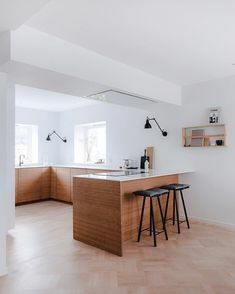 So simple and modern. Gaw!!! I love these! Seriously and your styling is always on point! Pinning! Thanks so much for linking up at Found & Foraged! We hope to see you again this Saturday at 8PM CT…yet, back to normal time again this week! Can’t wait to see what you’ve been working on! Also, since you are on Instagram, you should check out #foundforaged It’s different from our linky party, but kinda one in in the same. Just tag #foundforaged to anything found, foraged, DIYd, vintage finds, curbside picks…and of course we give extra bonus points to those with good styling…hint hint nudge nudge =P Anyhoo, we feature IGers every Saturday! You’re so sweet Kyla! Any time–thanks for the heads up about #foundforaged, whoa there are some beautiful images out there! I’ll keep instagrammin’ and linking up :) Happy holidays! I’m so glad to have found you on the interwebs, I think I’ve already mentioned that. 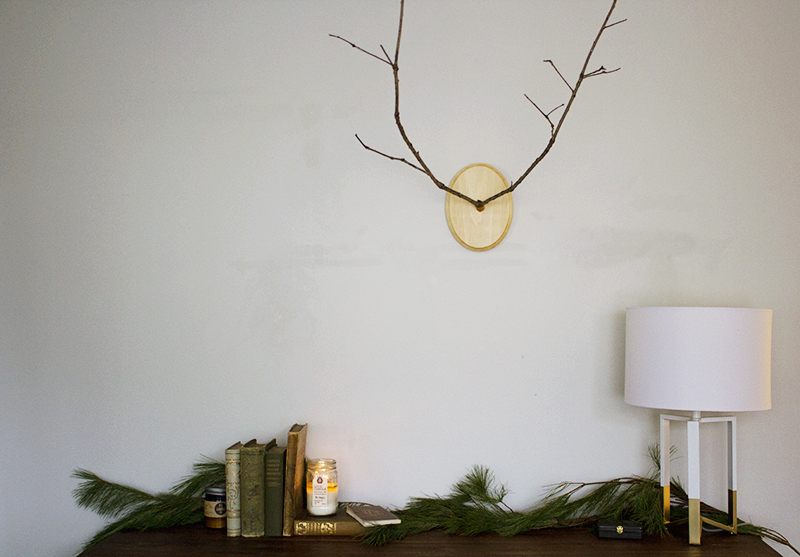 Anyways, I’m sharing this tomorrow on Think & Make Thursday for my site. I hope you get some new followers :) Cheers! Thanks! They were fun to make, too! 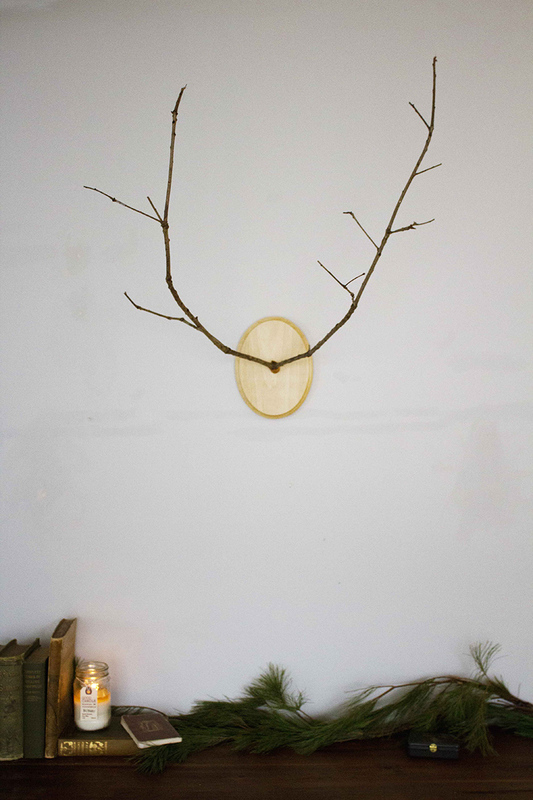 Denver's only interior design studio specializing in eco-friendly and socially responsible design. Click here to find out more.